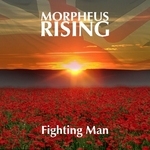 Sign up for Broadjam today to follow Morpheus Rising, and be notified when they upload new stuff or update their news! 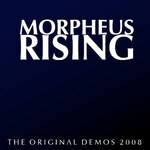 Including the first 5 tracks recorded as demos by the band, this EP demonstrates the harmony guitar, drivingrhythms and soaring vocals which have come to epitomise the sound of Morpheus Rising. Released on Boxing Day 2008, The Original Demos 2008 has, until now, only been available via download. Many of our fans have asked us where they could get a physical copy of the CD... so here you are!! Packaged in a standard jewel case with full colour booklet and inlay, the CD also has a full colour full body print. This CD will be produced at a strictly limited number of 250 copies. A song written shortly after a tour of Afghanistan. Atmospheric rock track based around twin guitar riff. Fast paced, twin guitar track, questioning life's logic. With driving rhthyms this song gets you pumping, and the lyrics continue the powerful emotional pull.